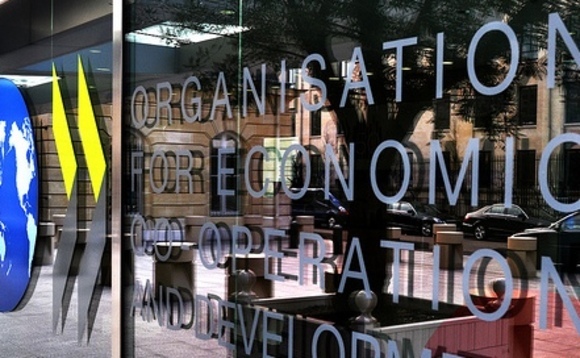 The 36-member state OECD has revealed that there is growing consensus behind a US proposal for an overhaul of global corporate tax rules, which would limit the ability of multinational companies to shift profits to low-tax jurisdictions. Earlier this year, the organisation put forward four different proposals to redesign corporate tax rules to address issues raised by the digital economy. One of those plans, developed by the US, would significantly change how countries share the right to tax multinational companies, Pascal Saint-Amans, head of tax at the OECD, told the Financial Times. Tax planning: Where are we now? Under the US proposal, companies would pay taxes based on where they make their sales — a significant change from today, when tax on companies largely depends on where their employees, offices and other assets are located. "It needs to be refined but the philosophy of the US tax proposal is pretty strong," Saint-Amans said. "They have the US, Brazil, China, India and other emerging economies lined up"
"It needs to be refined but the philosophy of the US tax proposal is pretty strong," Saint-Amans said. "They have the US, Brazil, China, India and other emerging economies lined up." The change would shift multinational tax revenues out of tax havens and away from some exporting nations and towards countries with large numbers of consumers. The OECD released a policy note that was approved by the 127 member countries of the Inclusive Framework on BEPS, an OECD initiative aimed at tackling the erosion of tax bases and the shifting of profits to low-tax jurisdictions. OECD head Angel Gurria told the World Economic Forum in Davos that "the conditions exist to lay the foundations for an agreement this year that could be approved and enter into force in 2020". The US has publicly condemned the European Commission's continuous attempts to try and collect more tax from American multinationals including Apple, and is firmly against a "discriminatory" digital tax. Countries in the EU led by France have sought action against mainly US-based tech companies, arguing that they do not pay their fair share of tax in countries where they sell digital services. The OECD notes that this fourth proposal for a minimum tax rate "does not change the fact that countries or jurisdictions remain free to set their own tax rates or not to have a corporate income tax system at all". "Instead, the proposal considers that in the absence of multilateral action there is a risk of uncoordinated, unilateral action, both to attract more tax base and to protect the existing tax base, with adverse consequences for all countries, large and small, developed and developing," it said.